Hypertension, also known as high blood pressure, is a huge medical problem for men and women. About 33-percent of people, which accounts for more than 60 million individuals, suffer from the condition, but that number doesn’t even touch on the people living in the high risk group for developing hypertension. 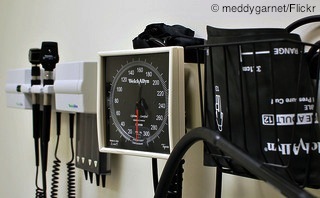 If you are over the age of 60 you have about a 90-percent chance of developing hypertension regardless of your gender. For men in particular, the risk increases starting at age 45 and from there it increases each year. Hypertension is one of those conditions that men can live with for years without even knowing they have it, but just because the first few years are asymptomatic does not mean hypertension is not damaging overall health. Hypertension is a condition that results in extensive pressure being placed on the walls of blood vessels. At first, the pressure is tolerated, which is why there are no symptoms for the first couple of years. Over time, however, the walls of the blood vessels weaken. Weakened blood vessel walls can lead to aneurysms, or bulges in the blood vessel walls. The elevated pressure in the heart can also cause enlarged heart, heart failure and damage to other organs like kidneys and eyes. There are several contributing factors to developing hypertension, including poor diet, increased sodium intake, reduced potassium intake and overconsumption of alcohol. Things like excessive amounts of stress and lack of physical activity may also contribute to increased risk of hypertension. Despite the long list of contributing factors, it is not inevitable that men will develop hypertension. There are men who live well into their 80s and 90s completed free of high blood pressure. It appears that lifestyle changes are compounding, which means making more than one change early in life and maintaining those changes has a better impact on heart health than making just one change or waiting until hypertension is diagnosed to make changes. What are the best changes to reduce the risk of hypertension? There are some men who are simply predetermined genetically to have high blood pressure. In these cases, lifestyle changes are often made to minimize the impact of hypertension on overall health. The simplest changes involve diet and exercise. Eating a calorie-controlled diet rich in healthy, omega 3 fatty acids, exercising every day and reducing sodium intake are three fantastic choices to reduce the risk of hypertension. Hypertension can be a deadly condition that affects more than 33-percent of the world population. Men don’t have to accept that hypertension is just a part of aging. They can make lifestyle changes and reduce risk factors for optimal health.